Grab a free movie night or pick up a game to play this weekend! You have a few opportunities to do both for FREE! Get a FREE Redbox DVD, Blu-ray or video game when you text VALPAK to 727272 You’ll receive a reply text with a code you can redeem for your free rental. Code expires 2/28/18. Get a FREE video game rental – no promo code needed. On Redbox.com or in the Redbox app, add a video game to your cart and you should see a $3 discount applied at checkout making for a FREE game rental. Limit 2 per account put you’ll have to do two separate transactions. 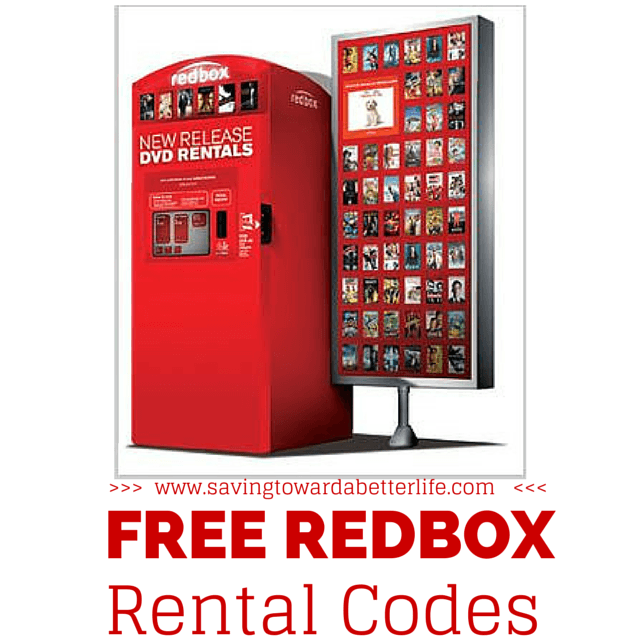 **NEW** Sign up for Redbox Perks (free to join) and you’ll get a promo code valid for a FREE DVD rental! They’ll also send you a code valid for another free rental during your birthday month. Previous post: Photobarn: Wooden Photo Hearts $9.99 each shipped! Next post: Amazon: Quaker Oatmeal Cups $.72 each!